The ASE (The National Institute for Automotive Service Excellence) is a non-profit organization created to protect auto mechanics and their customers. The ASE also promotes the best quality in automotive repair through establishing standards in the form of a certification program. The organization creates exams and certifications for auto mechanics that test standards and practices currently being used in the automotive repair industry. Mechanics looking to become ASE certified must have at least two years of real world experience or one year of on-the-job training as well as a completed two-year training degree. Once you have accomplished this, you can make arrangements to take the ASE certification exam. The exam itself can be a challenge. You will need to be prepared with the proper knowledge beforehand. To maintain an ASE certification, automotive professionals must be retested every five years. However, achieving a passing grade on your ASE exam is well worth the time and effort with so many opportunities for mechanical work available. To identify and recognize those Maintenance and Light Repair Technicians who can demonstrate knowledge of the skills necessary to successfully perform the most common maintenance and light repair tasks. The Auto Maintenance and Light Repair Certification Test (G1) contains 55 scored questions, plus 10 unscored research questions covering knowledge of the skills related to maintenance and light repairs in engine systems, automatic transmission/transaxle, manual drive train and axles, suspension and steering, brakes, electrical, and heating and air conditioning. Technicians must retest every five years to retain their certification. Since the G1 test in this series makes its debut in July 2013, a recertification version is not offered at this time. To identify and recognize those Automobile and Light Truck (up to Class 3) Technicians who can demonstrate knowledge of the skills necessary to diagnose, service, and repair cars, SUVs, and light duty trucks. Those are certified in tests A1 – A8 are recognized as ASE-Certified Master Automobile Technicians. NOTE: A9 is NOT a requirement for Master Automobile Technician Status. Technicians must retest every five years to retain their certification. The Automobile & Light Truck recertification tests (A1R – A8R) are about half as long as the initial certification tests. Tests A1 through A9 are intended for technicians who perform vehicle repairs. ASE offers a separate C1 certification test specifically for service consultants, who work with repair technicians and car owners. Click here for more information on the C1 test. To identify and recognize those Collision Repair Technicians and Refinishers who possess knowledge of the skills necessary to properly analyze and repair automotive collision damage and correct paint finish damage. Those who are certified in tests B2 – B5 are recognized as ASE-Certified Master Collision Repair Technicians. NOTE: B6 is NOT a requirement for Master Collision Repair Technician Status. Technicians must retest every five years to retain their certification. The Collision Repair and Refinish recertification tests (B2R – B5R) are about half as long as the initial certification tests. Tests B2 through B5 are intended for technicians who perform repairs in collision repair shops. ASE offers a separate B6 certification test specifically for estimators, whether they work in a shop, write estimates for insurance companies, or are independent adjustors. Click here for more information on the B6 test. To identify and recognize those Estimators who possess knowledge of the skills necessary to properly analyze and estimate automotive collision damage. This test complements those in the Collision Repair Test Series (Tests B2 – B5), and is specially intended for professionals who may not actually repair vehicles, but have the special knowledge needed to assess collision damage, estimate repair costs, and work with vehicle owners. The Damage Analysis and Estimating (B6) test contains 50 scored questions on damage analysis, estimating, legal and environmental practices, vehicle construction, vehicle systems, parts identification and source, and customer relations and sales. To become ASE certified, Estimators must pass the B6 test and present proof of two years of work experience specifically related to damage analysis and estimating, not hands-on collision repair. Estimators must retest every five years to retain their certification. The Damage Analysis and Estimating recertification test (B6R) is about half as long as the initial certification test. The B6 certification test is intended for those who write estimates for collision damage repair. ASE offers a separate series of tests B2 through B5 that are intended specifically for technicians who perform repairs in collision repair shops. Click here for more information on these tests. To improve the quality of vehicle service through the voluntary testing and certification of Service Consultant professionals. The Automobile Service Consultant (C1) test contains 50 scored questions on communications, customer and internal relations, vehicle systems knowledge, sales skills, and shop operations. To become ASE certified, Service Consultants must pass the C1 test and present proof of two years of work experience specifically related to service writing, not hands-on automotive repair. Service Consultants must retest every five years to retain their certification. The Service Consultant recertification test (C1R) is about half as long as the initial certification test. The C1 certification test is intended for those who work as service consultants. 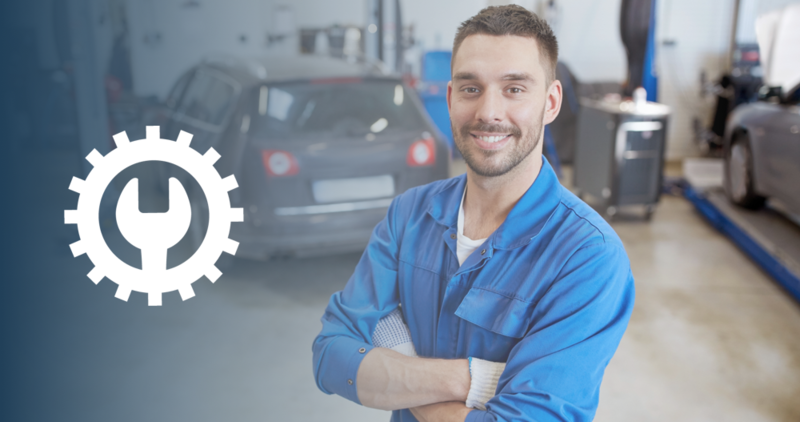 ASE offers a separate series of tests A1 through A9 that are intended specifically for technicians who perform automobile and light truck repairs. To identify and recognize those Truck Equipment Technicians who can demonstrate knowledge of the skills necessary to install, diagnose, service, and repair truck equipment and related support systems on all classes of trucks and tractors. Those who are certified in tests E1 – E3 are recognized as ASE-Certified Master Truck Equipment Technicians. Technicians must retest every five years to retain their certification. The Truck Equipment recertification tests (E1R – E3R) are about half as long as the initial certification tests. To identify and recognize those Technicians who can demonstrate knowledge of the skills necessary to diagnose, service, and repair compressed natural gas vehicles. The Compressed Natural Gas Vehicle (F1) test contains 55 scored questions on vehicle inspection, equipment installation, leak testing and repairs, emissions, system diagnosis, maintenance and repair, and cylinder safety. To identify and recognize those Transit Bus Technicians who demonstrate knowledge of the skills necessary to diagnose, service, and repair various systems on transit buses. ASE initiated this Test Series with the support of the U.S. Department of Transportation and the American Public Transportation Association (APTA). While several of these tests parallel the ASE Medium-Heavy Truck and School Bus tests, each is designed to test the knowledge of systems specific to transit buses. Those who are certified in tests H1 or H2, plus H3 – H8, are recognized as ASE-Certified Master Transit Bus Technicians. Technicians must retest every five years to retain their certification. The Transit Bus recertification tests (H1R, H2R, H3R, H4R, H5R, H6R, H7R and H8R) are about half as long as the initial certification tests. Other Transit Bus recertification tests will be added over time. To identify those Technicians who possess knowledge of the skills required to diagnose sophisticated driveability and emissions-related problems on automobiles, SUVs, and light-duty trucks. The Advanced Engine Performance Specialist (L1) test contains 50 scored questions focused on the diagnosis of general power-train, computerized power-train controls (including OBD II), ignition systems, fuel and air induction systems, emission control systems, and I/M test failures. Because of the complexity of the L1 test, ASE generally recommends that you NOT register for other tests during the same test session. Many of the questions relate to a sample vehicle using a composite power-train control system featuring computerized engine control technology used by most manufacturers. This vehicle is described in the Composite Vehicle Type 4 Reference Booklet that is provided both before and at the time of testing. Use the link below to download and review this booklet prior to taking the L1 test. To register for the regular L1 certification test, you must have passed the Automobile Engine Performance (A8) test. To register for the recertification version of the Advanced Engine Performance Specialist Test (L1R), you must have previously passed the regular L1 test. Technicians must retest every five years to retain their certification. The Advanced Engine Performance Specialist recertification test (L1R) is the same length as the regular certification test. To identify those Technicians who possess knowledge of the skills necessary to diagnose sophisticated diesel engine performance problems on medium- and heavy-duty trucks. The Electronic Diesel Engine Diagnosis Specialist (L2) test contains 45 questions focused on the diagnosis of general diesel engine, electronic diesel engine controls, diesel engine air induction and exhaust systems, diesel fuel systems, and specific fuel systems, including electronic unit injector (EUI), pump-line-nozzle electronic (PLN-E) and hydraulic electronic unit injector (HEUI) systems. Because of the complexity of the L2 test, ASE generally recommends that you NOT register for other tests during the same test session. Many of the questions relate to a sample vehicle equipped with a composite diesel engine control system featuring a cross-section of electronic diesel engine control technology used by all engine manufacturers. This vehicle is described in the Medium-Heavy Composite Vehicle Type 2 Reference Booklet that is provided both before and at the time of testing. Use the link below to download and review this booklet prior to taking the L2 test. To register for the regular L2 certification test, you must have passed one of the ASE Diesel Engine tests (A9, H2, S2, or T2) and one of the ASE Electrical/Electronic Systems tests (A6, H6, S6 or T6). To register for the recertification version of the Electronic Diesel Engines Diagnosis Specialist Test (L2R), you must have previously passed the regular L2 test. Technicians must retest every five years to retain their certification. The Advanced Diesel Engine Diagnosis Specialist recertification test (L2R) is the same length as the regular certification test. To identify those Technicians who possess knowledge of the skills required to diagnose hybrid/electric automobiles, SUVs, and light-duty trucks. The Light Duty Hybrid/Electric Vehicle Specialist (L3) test will cover content focused on the diagnosis of the battery system, internal combustion engine (ICE), drive system, power electronics, and hybrid supporting systems. Read the Frequently Asked Questions (FAQs) for the ASE Light Duty Hybrid/Electric Vehicle Specialist (L3) test to learn more about the launch of this testing program. The L3 test will include a Certification Test Reference document that identifies the concepts for the hybrid/electric vehicle technology included in the L3 test. This document will be available as an electronic pop-up document during the test. All of the test questions follow the information contained in the document to help ensure that the test content remains consistent and understandable to technicians regardless of their area of hybrid/electric vehicle specialty. Use the link below to download the study guide and review this information prior to taking the L3 test. To register for the L3 certification test, you must have passed both the Automobile Electrical/Electronic Systems (A6) and Engine Performance (A8) tests. Effective December 31, 2010, ASE will no longer offer the Truck Aftermarket Brake Parts (P3), Truck Aftermarket Suspension & Steering (P9), or the Engine Machinist (M1, M2, and M3) tests as part of its certification program. The last opportunity to take a certification or recertification P3, P9, or Engine Machinist test was the Fall 2010 testing administration. The ASE Board Of Directors carefully examined trends in the industry, as well as the numbers of test-takers required to provide enough data to ensure a quality testing product beyond 2010. Based on results of the study, the Board decided to discontinue these tests. No other ASE certification tests are affected. ASE will provide information and support, through 2015, to all who are certified in Machinist and P3/P9 areas. To improve the quality of service offered by Automobile and Medium-Heavy Truck Parts Specialists through the voluntary testing and certification of parts professionals. The ASE Board Of Directors carefully examined trends in the industry, as well as the numbers of test-takers required to provide enough data to ensure a quality testing product. Based on results of the study, the Board decided to discontinue these tests. No other ASE certification tests are affected. To become ASE certified, Parts Specialists must pass one or more of the Parts series tests and present proof of two years of work experience specifically related to parts counter work, not hands-on automotive repair. Parts Specialists must retest every five years to retain their certification. The Parts Specialist recertification tests (P1R, P2R, and P4R) are about half as long as the initial certification tests. To identify and recognize those School Bus Technicians who possess the knowledge and skills necessary to diagnose, service, and repair different subsystems of Type A, B, C, and D school buses. ASE initiated this Test Series at the request of the National Association for Pupil Transportation (NAPT). While several of these tests parallel the ASE Medium-Heavy Truck and Transit Bus tests, each is designed to test knowledge of systems specific to school buses. Those who are certified in tests S1 – S6 are recognized as ASE-Certified Master School Bus Technicians. NOTE: S7 is NOT a requirement for Master School Bus Technician Status. Technicians must retest every five years to retain their certification. The School Bus recertification tests (S1R – S7R) are about half as long as the initial certification tests. Those who are certified in tests T2 – T7 are recognized as ASE-Certified Master Medium-Heavy Truck Technicians. Beginning January 1, 2017, T8 will also be required to earn Master Truck status. Current Master Truck Technicians will keep their Master status until the first of their current Truck certifications expires, even if that date is in 2017 or later. When the time comes to recertify, they will also need to take and pass the T8 test. NOTE: T1 is not required for Master Medium-Heavy Truck Technician Status. Technicians must retest every five years to retain their certification. The Medium-Heavy Truck recertification tests (T1R – T8R) are about half as long as the initial certification tests. To identify and recognize those Technicians who can demonstrate knowledge of the skills necessary to diagnose and repair automobile brakes, suspension and steering, and exhaust systems. The ASE Undercar Specialist designation recognizes Technicians who have demonstrated knowledge of the skills in Suspension & Steering (A4) and Brakes (A5) from the Automobile & Light Truck Test Series, and Exhaust Systems (X1) from the Specialty Test Series. Although it is not a stand-alone certification, Exhaust Systems (X1) has been combined as a technical complement to test technicians’ knowledge of exhaust systems. To earn the Undercar Specialist designation, you must be concurrently certified in all three tests: A4, A5, and X1. The Exhaust Systems (X1) test contains 40 scored questions on exhaust system inspection and repair, fabrication, installation, emissions systems diagnosis and repair, and exhaust system repair regulations. You must be currently certified in both Automobile Suspension and Steering (A4) and Automobile Brakes (A5), and satisfy the two-year hands-on work experience requirement in order to register for the X1 test. Undercar Specialists must retest every five years to retain their certification. The Exhaust Systems recertification test (X1R) is about half as long as the initial certification test. Note that you must also be currently certified in both Automobile Suspension and Steering (A4) and Automobile Brakes (A5), and satisfy the two-year hands-on work experience requirement in order to register for the X1R test. Find out more about the ASE And Automotive Manufacturing Certification Tests.